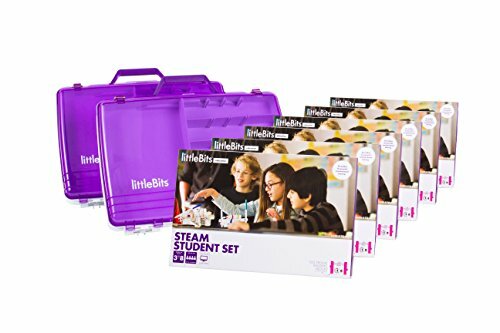 The STEAM Education Class Pack is a collection of six STEAM Student Sets, making it an ideal invention-based learning tool for the classroom, both for self-guided instruction and group collaboration. It supports up to 24 learners in grades 3-8, comes with a tackle box for easy storage, and includes comprehensive student & teacher guides. Plus you’ll have access to more resources online. If you have any questions about this product by littleBits, contact us by completing and submitting the form below. If you are looking for a specif part number, please include it with your message.